5 / 366 - Went for a walk around the block this lunch time with Micheal Hogan and another colleague. 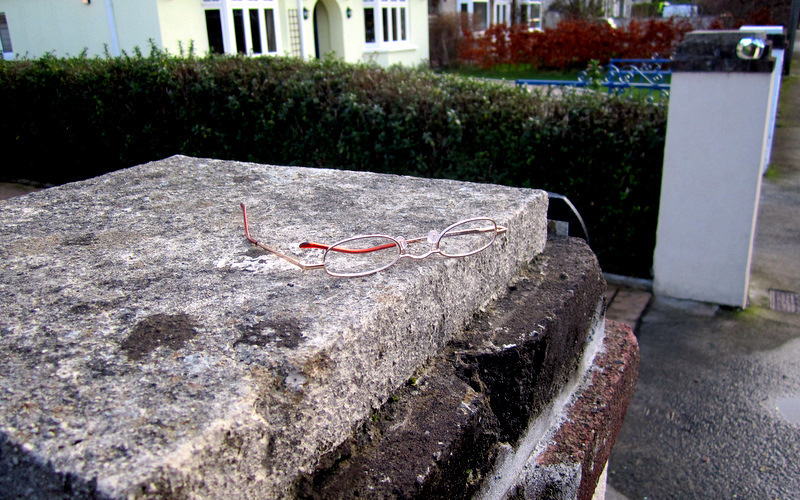 For some reason there were quite a few items discarded along the route including this pair of glasses which someone had kindly picked up left on a gate pillar. So if you have lost your glasses, they are somewhere between Dundrum and Windy Arbour. Photo blog of Kieran Lane, a full time geek, maker of websites, taker of photos and a novice kayaker. © 2011 - 2019 Kieran Lane Photography. All rights reserved. Proudly powered by WordPress. Built by Kieran Lane.